Luxury Limited Edition run of just 500 twin packs. Gilt-edged and presentation packaged. Was £19.95, Now Only £9.95! 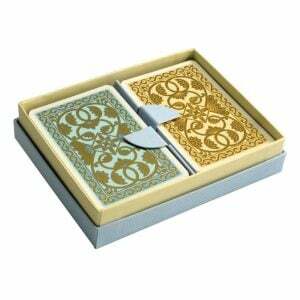 Limited edition William and Kate playing cards finished with gold gilt edging. Only 500 twin packs have been printed. Furthermore the cards have been packaged in a beautiful presentation box. These are truly a collectors item.